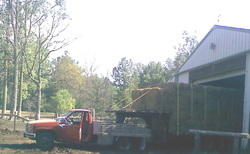 U.S. Hay Bank programs : to provide short term relief to individuals owning horse(s). Each is independely operated. Eligibility and other requirements vary. Please be sure to Share this list with your friends! Let's work together so no horse has to go hungry. IF YOU THINK ABOUT IT, "WE" as a community of people, rescues, rescuers etc... ARE making a market for the the auctions and brokers who send these horses through to slaughter. 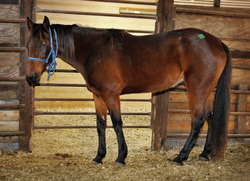 Week after week rescuers try to save horses from going to slaughter by attending auctions all over the US to outbid the KB and save a horse, when in reality we are just encourgaing them to bring a "LARGER" number of horses through the auctions knowing that the rescuers will buy them to save them. . This applies to brokers as well... the only difference is the price . IF WE as a community educate and be pro active, maybe we can reduce the number of horses going to auctions by educating horse owners & providing a resource center for them. WE know there is always going to be a market for the horses it is a vicious cycle, Times are tough right now and people sometimes have no where to go because rescues are "FULL" as well as sanctuaries. We need to reach out to the breeders/horse owners/rescues etc.. Many rescues are closing their doors due to the economy but seems like another one always comes to surface. This is happening all over the US. So "WE" need to make a change and start looking at the big picture and structure our rescues to be more productive in the community and network with other rescues/human socieites/shelters/ and law enforcement agencies and become the solution and not the cause. This site and it's content are Copyright Voice For Horses Rescue Network 1999-2011 All Rights Reserved, No picture can be reproduced or used without the express and written permission ofVFHRN. Any copy or reproducing of photographs will be considered copyright infringement.